The regulatory system to control redox balance involves sugar-dependent gene regulation and protein phosphorylation. Without dynamic control of redox balance animals lose their ability to survive on sugar-rich food. Animal diet has a tremendous natural variation, ranging from meat-eating carnivores to sugar-loving nectarivores. Omnivores, like humans, can adopt different types of diets and still remain healthy. However, if the diet is highly unbalanced and calorie rich, it will eventually lead to metabolic problems and disease. The genetic factors of the individual define how easily and quickly such problems develop. "A key to the nutritional flexibility of the animals is the ability of the body to monitor its nutrient status and regulate metabolism accordingly. Many metabolic pathways depend on reduction and oxidation (redox) reactions. That is why coordinating the redox balance with cellular metabolism is critical", describes Associate Professor Ville Hietakangas from the University of Helsinki. The system how the redox balance is controlled in response to changes of sugar feeding has so far been insufficiently understood. Now the study by Mari Teesalu, Bohdana Rovenko and Ville Hietakangas reveals a new mechanism that allows animals to increase their reductive power during conditions of high sugar intake. "This reductive power is necessary to allow conversion of excess sugar into fat and provide protection against oxidative stress that can occur during sugar metabolism. Without the mechanism to increase the reductive power after sugar feeding larvae of fruit fly Drosophila melanogaster lose their sugar tolerance, and they are not able to grow and survive on high sugar diet", says Hietakangas. 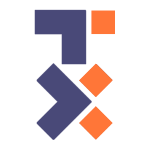 The new regulatory mechanism involves protein kinase SIK3, which controls the activity of other proteins by phosphorylating them. SIK3 phosphorylates and activates a key enzyme of glucose metabolism called Glucose-6-phosphate dehydrogenase G6PD, which is an important regulator of cellular redox balance. 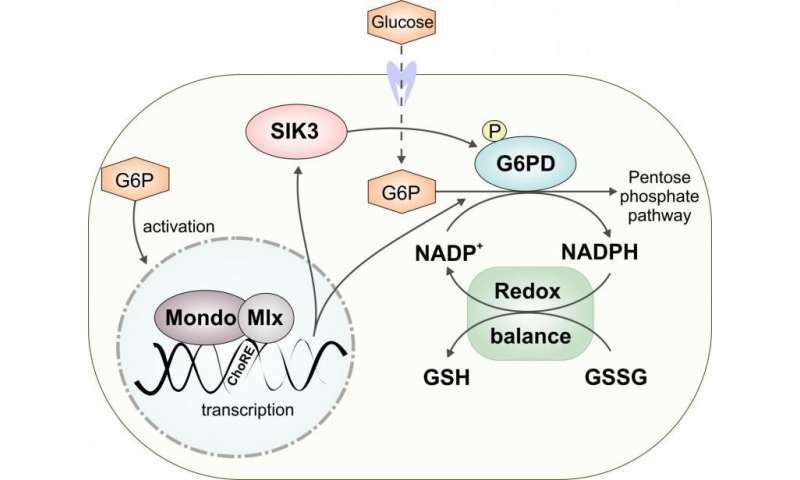 SIK3 controls G6PD in synergy with another important regulator of sugar tolerance, the sugar-sensing transcription factor complex Mondo-Mlx. Simultaneous inhibition of SIK3 and Mondo-Mlx leads to devastating consequences, causing lethality even on moderate levels of dietary sugar.